A fashionably alarmist book tying global warming to past extinctions. I'm skeptical. Ordovician mass extinction 445 million years ago The sea life of the Odovician included trilobites, its signature animal. Also cephalopods. They were great shallow oceans. On land, nothing but a few liverwords. At the end of the Odovician, 85% of life on earth would be wiped out. It ended the great Odovician biodiversification, the greatest expansion of biodiversity in the planets history. Within 10 million years, the number species on the planet tripled. Oxygen probably had quite a bit to do with it. As carbon got buried on the seafloor, perhaps in large algae blooms, more oxygen became available. With the oxygen came a diversification of life forms. Then came "the largest volcanic explosions in the history of complex life." "The fallout from these ancient eruptions, known as the Deicke and Millbrig ash beds, can be seen in Odovician rocks from Oklahoma to Minnesota to Georgia, spanning some 500,000 mi.²." Ironically, Brannen reports that these huge volcanic eruptions did not result in a mass extinction. At the same time, meteors were quite frequent, apparently originating from the collision of some asteroids 470 million years ago in the neighborhood of Jupiter. At the end of the Odovician, the ocean suddenly drained away from the Midwest, leaving the shallow sea world gasping. Still building the suspense, Brannen goes on the tangent to explain the recent ice ages. He says that we are in a period of remission from the ice ages. Not too long ago the sea level was 400 feet lower on the George's Bank. He says that this was all caused by the periodic wobble of the planet in space and the rhythmic changes of its orbit. This would agree with paleoclimate. Brannen goes on his hobbyhorse again: "(Obviously, because of the ways humans have propound the transform the chemistry of the Earth's oceans and atmosphere in only the past few decades, this regular schedule is probably been upended and is not about to get colder anytime soon.)" Brannen makes linear assumptions about future human activity. The Odovician ended in massive glaciation. It locked up ice and dropped the sea level by 300 feet. This may explain the disappearance of the fossil record in shallow seas of Cincinnati. The shallow continental oceans may have just disappeared. There is evidence of a 5°C drop in the temperature of the tropical ocean at the end of the Odovician. Here Brannen concurs that carbon dioxide is only one factor among many, others being solar intensity, surface reflectivity, and ocean circulation, that affect climate. He says that Swedish scientist Svante Arrhenius predicted in 1896 that a doubling of CO2 in the atmosphere would raise temperatures by 4°C. Though Brannen says this is in line with modern estimates, the IPCC figure today is significantly lower, 2.5°C. Later in the book Brannen names another figure, 3°C. Brannen says that while we are concerned that adding too much CO2 will create a global hothouse, "just as problematic can be quickly plummeting levels of carbon dioxide, which can create an ice house climate instead." He describes what Bender (author of Paleoclimate, above) calls weathering, rainwater that is slightly acidified by carbon dioxide dissolving rocks, removing CO2 from the air. Another quote on global warming "but today humans – by retrieving and burning hundreds of millions of years worth of this carbon buried by geology – contribute 100 times more carbon to the atmosphere every year than volcanoes." That figure appears a bit high - they don't actually know how much volcanos produce. The theory is that the Odovician ended in an ice age. Moreover, the physical layout of the continents was different. There were a number of island continents. Life forms could not simply migrate along the coastline to get from cooler to warmer weather. They were isolated and doomed. So here are the theories for contributing factors to the extinction: the draining of the seas, the cooling of the tropics, the distance between the continents, the oxygenation of the deep, and the collapse of the food chain. The coup de grace appears to have been a sudden warming, evidenced by black shale producing hot climates. The warming was sudden and many animals may not have adapted. The bottom line: severe, rapid changes in the carbon cycle did not end well. Chapter 3 – The Late Devonian Mass Extinction 374 to 359 million years ago The Devonian extinction played out over 20 to 25 million years. This is unlike other extinctions. It appears to have been occasioned by the evolution of land plants. The liverworts that had appeared during the Odovician evolved into more advanced plants, something like today's horsetails and eventually real trees. As they did so, their roots broke up organic material to create the first soils. This freed up phosphorus and other nutrients from the rocks, and it eventually wash down into the seas where it was absorbed by algae. The resultant algae blooms deprive the seas of oxygen, killing off marine life. The algae blooms diet and fell to the bottom of the ocean, locking up carbon. The exuberant vegetation also locked up vast quantities of carbon, reducing carbon dioxide in the air and increasing oxygen. Eventually CO2 dropped more than 90%. Diminishing the CO2 in the atmosphere reduced the greenhouse effect, and made the earth colder. Each of the two major extinction events in the Devonian were accompanied by sharp cooling and continental glaciation. Brannen writes that the evidence is not fully consistent, and that there are competing theories. He writes "Oxygen isotopes from the teeth of tiny eel like animals point to brief but wildly precipitous drops in tropical sea level temperatures of 5 to 7°C." The explanation was interesting. Bender, in "Paleoclimate," gives a good description of how the isotopes are used. Biological processes such as photosynthesis have a preference for lighter isotopes such as carbon 12 over carbon 13. If carbon-12 is abundant it will be used in strong preference to carbon-13. If, on the other hand, carbon is more scarce, the isotopes will be used in closer to a balanced ratio. Branden makes this point himself in a later chapter. The second event, at the end of the Devonian, corresponds with the evolution of seed plants. These would be coniferous trees. They were wildly successful and would have contributed even more to extracting CO2 from the atmosphere and locking it up as beds of fossil fuels. This was the age of fishes, the fiercest of them being the Dunkleosteus, an armored brute the size of a Winnebago. It was also the age of the first land vertebrates, fish that started wandering out of the water and eventually became amphibians. But in the end, 95% went extinct. This included all tetrapods except those with five fingers living in fresh water. This is also the era in which the island continents were pulling together into Pangaea. This led to extinctions of another sort as species that had evolved apart came in competition with one another. Chapter 4 – The End Permian mass extinction 252 million years ago This is the worst mass extinction ever. Life forms that evolved prior to the extinction were the reptiles, and the first hints of birds and mammals. The cause appears to have been immense lava flows in what are called the Siberian Traps in Russia. Immense, as in up to 2 1/2 miles deep and covering 2,000,000 mi.² of area with volcanic rock, primarily basalt. Brannen says that the magma from the Siberian Traps came up through the earth, it in treated into the Tunguska Sedimentary basin, which was filled with carbonates, sales, and calls from ancient forests. In some places those sediments were up to 12 km thick. The carbon dioxide released from burning these coal bearing materials would have added to the normal volcanic outgassing and vastly increased CO2. Brannen outdoes himself comparing the Siberian Traps episode with the modern burning of fossil fuels. Here he seems to be significantly out of sync with Bender and other paleoclimatologists. Bender puts the maximum level of carbon dioxide at this point in Paleohistory at five times today's level, still significantly lower than in the Devonian Period. Brannen fails to make the case with numbers. How much carbon carbon is there in the world and where is it? This from Wikipedia: "Mass of earth......................5.972E+24....kg. "Fraction of it carbon.............0.00073... "Total carbon.........................4.36E+21....kg....100.0000000% "In earth's core......................4.35E+21....kg......99.8839837% "In earth's crust.........................5E+18....kg........0.1146905% "Oceans and Cathrates..............5E+16....kg........0.0011469% "Fossil fuels left.........................5E+15....kg........0.0001147% "Carbon in biomass incl. soil.......2E+15....kg........0.0000459% "As CO2 in atmosphere.............. 8E+14....kg......0.0000184%" Brannen and Bender agree that Atmospheric CO2 prior to the catastrophe at the end of the Permian was perhaps three or four times higher than it is today. Since most carbon was laid down in the Devonian period, today's fossil fuels are more or less what they would've been at the end of the Permian. 2,000,000 mi.² is less than 1% of the Earth's surface. Even if all of Siberia's fossil fuels had been burned at once by the Siberian Traps catastrophe, the most it could have done would have been to raise atmospheric carbon dioxide by a few percent. If it went up more than that, which Bender does not show, it would've had to have been by volcanic outgassing, not by burning fossil fuels. He himself says that estimates of the carbon released were between 10,000 and 48,000 gigatons. It is absolutely impossible that those quantities could have come from carbon deposits in Siberia. On the other hand, the table above makes it abundantly clear that they could easily have come from the Earth's mantle. Where else? I am making this argument because it highlights a consistent flaw in Brannen's book. He needs to make numerical arguments to support his global warming thesis. Another inconsistency is that he fails to bring up the notion of burning fossil fuels in his discussion of any of the subsequent extinctions, though three involved the same kind of basalt lava flows. A positive feature of the book is his absolutely appropriate recognition of the lack of agreement among paleontologists as to what caused the five extinctions. He does a masterful job of describing each of the theories and then explains which one he thinks is most likely. However, with climate change he is absolutely the opposite. He displays no humility, consistently hinting darkly that the worst is almost bound to happen. Even when he gets the numbers right, he goes overboard on the implications. He agrees with other scientists that there are roughly 5000 gigatons of carbon remaining as fossil fuels. He goes on to say that if we were to burn it, "… The planet will become unrecognizable, with huge swabs rendered uninhabitably hot for mammals like us (to say nothing of the more than 200 feet of sea level rise that would drown much of civilization)." Cutting through the fevered rhetoric, let's compare some numbers. Our ape ancestors lived in climates that were up to 8°C warmer. As Brannen himself notes, the sea level was as much as 400 feet lower in the recent Ice Age. It is abundantly clear that we would never be able to get out all of the fossil fuels. The citizenry is already up in arms about the dangerous and dirty things such as mining tar sands and fracking shale we do to get petroleum. We are working at a breakneck pace to reduce our dependency on fossil fuels for many economic and environmental reasons. Moreover, those human populations that consume the most, the developed countries of North America, Europe and Northeast Asia, are not having enough children to reproduce themselves and are thoroughly inundating the children that they do have with environmental messages. Brannen does not have to go overboard to pound it in. We are not on the brink of disaster. After beating the reader over the head time after time with what would happen if all 5,000 gigatons of fossil fuels were to burn, in the final chapter he cites experts who estimate that a maximum of 2,000 gigatons could ever be burned. Is this intellectually honest? The book should be consistent. Branden goes off on another climate change tirade comparing the success of the Montréal protocol with the inadequacy of the climate change agreements from Rio, Copenhagen, Kyoto and Paris. David Victor explains why the the matters are entirely different in his excellent book [[ASIN:B004YPJ8ZU Global Warming Gridlock]]." And after a long and unnecessary climate change tirade, Brannen returns with some fairly sensible observations. The magma eruption in Siberia would have resulted in a considerable amount of heat being released. He notes that scientists consider plants to be fairly robust, able to tolerate heat. They would have also been a great amount of sulfur which would've resulted in an acid rain. That could be quite damaging to both terrestrial and ocean life. So this greatest extinction of all time could well have been caused by the Siberian Traps, as theorized, operating in a number of ways. They would raise atmospheric carbon dioxide somewhat, occlude sunlight, result in acid rain, change in the chemistry of the oceans. Taken together, it seems like a fairly reasonable explanation for a 95% extinction. Chapter 5. The End Triassic Mass Extinction 201 million years ago Life recuperated slowly after the massive end of Permian extinction. However, once it got started evolution was again quick and there was a great deal of branching into new species. By the end of the Triassic crocodilians were the dominant life form. Brannen cannot help himself. 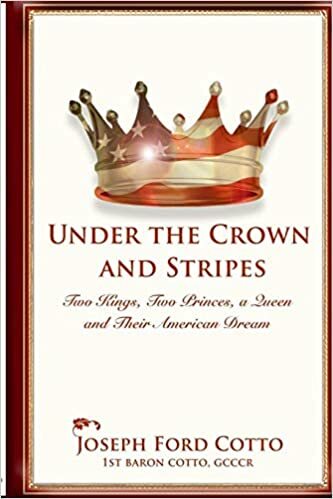 In chapter 2 he makes fun of the Creation Museum, a "bizarre evangelical fun house where glassy eyed schoolchildren are told the earth isn't much older than the pyramids…" In this chapter he goes after an evangelical mine owner who bridles at a bumper sticker saying "Coexist." I am no evangelical, but I am offended by liberal bigotry is much as any other. This has no place in the book. Oops – again in Chapter six. The Creation Evidence Museum. Enough is enough! There are a lot of goofy religious ideas in the world. A truly courageous stand would be to attack Muslims, who also hold with the Pentateuch. Even braver would be to give his home address in doing so. Turning the other cheek is a uniquely Christian virtue… which makes picking on them seem rather churlish. Returning (thankfully, Brannen is pretty good when he stays on his subject) to the topic at hand, we find that the end Triassic extinction is similar to the end of Permian extinction, with a massive lava flow this time right around New York City. It is known as the Central Atlantic Magmic Province, or CAMP. The basalt erupted in four brief pulses over 600,000 years. The area has been split by the Atlantic Ocean, and parts of the 4,000,000 mi.² continental flood basalt are on three continents. Once again, the real killer is said to have been the out-gassing associated with the magma. A very dramatic increase in carbon dioxide. In this passage Brannen cites a lower figure, 3°C of temperature change for every doubling in carbon dioxide. This is still higher than the IPCC's figure of 2 1/2°C. Brannen does not go into the same depth as he does with the Permian of the other effects that would have come with the huge volcanic corruption, including clouds blocking the sun, acid rain caused by the sulfur, and acidification of the oceans. This time he emphasizes CO2 as the primary villain by simply neglecting to address the other related phenomena that may have prompted extinctions. I note that such a sharp spike in CO2 can't be found in most graphs of CO2 and temperature over historical time that you get off the Internet and does not agree with Branden's account. Since the major factor that removes CO2 from the atmosphere is weathering, acid rain dissolving rock in forming carbon compounds that get buried in the ocean, such a rise in carbon dioxide should have persisted for a long enough time to be shown in the fossil record. It does not appear that all have noticed it. Returning to his tirade, Brannen says that the IPCC forecasts up to 5° of warming by the end of the century. That would entail a quadrupling of CO2, which in turn would require burning the earth's entire endowment of fossil fuels. If he is going to make claims like this, Brannen should back them up with figures. Chapter 6 – The End Cretaceous Mass Extinction 66 million years ago The dinosaurs dominated the Cretaceous period, filling every niche in the ecology of that time. They ranged from the equator to the poles. Many were equipped with feathers, presumably warm-blooded. They were wiped out by the largest asteroid known to have hit any planet in the solar system in the last half billion years. At virtually the same time, when the largest volcanic eruptions ever smothered parts of India and live a more than 2 miles deep. Needless to say, not only dinosaurs went extinct. So did thousands of species of mammals and birds. After presenting the Alvarez theory that the extinction was caused solely by the 10 km wide (or 15) meteor hitting the earth, Brannen presents an alternate theory that the cause was another huge lava flow, this one called the Deccan Traps, from India. This lava basin was likewise immense, eventually the size of France (200,000 mi.²). He presents the evidence for this as the cause. He then presents a third, hybrid theory. The Deccan Traps appear to have already been flowing for 300,000 years before the meteor impact. However, the magnitude of the flow and the character of the basalt changes just about the time of the impact. Other geologists have noted that an earthquake in one place often seems to be associated with a volcanic eruption someplace else. It is quite possible that the perturbation caused by the meteor intensified the basalt flow already underway in Decca. These theories remain in contention, as scientists worked diligently to collect more evidence and to formulate theories that better explain all of the available evidence. Chapter 7 – The End Pleistocene Mass Extinction 50,000 years ago – near future The early age of mammals hit a maximum temperature 56 million years ago, when in the amount of carbon equal to today's fossil reserves (5,000 gigatons) was released to the atmosphere over the course of less than 20,000 years. The temperature spiked 5 to 8°C In an event known as the Paleocene-Eocene Thermal Maximum. When India finally crashed into Asia 45 million years ago, the CO2 output diminished in the Himalayas rose. As these rocks weathered, it diminished the amount of CO2 in the air in the modern series of ice ages began. A mere 3 million years ago North and South America merged at Panama, an event that rerouted ocean circulation. At that time the North Pole froze. After the earth cooled 2.6 million years ago the wobble of the planet became a driving factor, tilting the earth in and out of sunshine and in and out of ice ages. As a reviewer I add, the Earth's tilt is currently 23 1/2° or so. Tropic of Cancer and the Tropic of Capricorn, the highest and lowest places where the sun is directly overhead at one point in the year, lie 23 1/2° from the equator. The Arctic Circle in the Antarctic Circle, where at least one day of the year the sun never sets, lie 23 1/2° away from the polls. This 23 1/2° figure changes with the Earth's wobble. When the number is higher, there is more sun closer to the poles and the earth warms up. When the earth is more vertical, there is less sun toward the poles and the earth cools down in ice ages. Brannen notes that there have been relatively few extinctions despite the wild swings in temperature over the past few hundred thousand years. This reviewer's hypothesis would be that it is because warm-blooded animals – birds and mammals – are better able to cope with climate changes. Then, however, after the appearance of Homo sapiens a great many large land vertebrates went extinct. These extinctions seem to follow the migration of Homo sapiens across the planet. Megafauna – large land animals – disappeared everywhere man appeared. Brannen makes the case that these large animals simply did not have an inborn fear of man. They would size us up and decide that small as we were we were not dangerous. It was a fatal assumption. We drove the mastodons and the mammoths to extinction in Europe, as well as many other larger herbivores. The lions had to go because they competed with us. It was even more spectacular in the Americas. The first humans, arriving from Siberia, had already developed advanced Stone Age tools such as flint knives and arrowheads, spears and the bow and arrow. Giant sloths, giant anteaters and other animals scarcely knew what hit them. They went extinct within a millennium or so of man's arrival. Africa fared the best. Large animals there had co-evolved with man for a couple of million years. They had learned to be wary. Nonetheless, Brannen says that 22% of the large African mammals went extinct. The catalog of extinctions peters out abruptly about 100 years ago. The 19th century saw a major species such as the passenger pigeon go the way of the dinosaurs. By the 20th century men were more alert to the damage they were doing. The signal extinctions of the past century have been things like the Ivory billed woodpecker and the Costa Rican Golden toad. These are not large animals and were never dominant. Brannen stretches to make a case for the extinction of one large herbivore. He claims that the northern white rhino went extinct after a million year run. There is no doubt that it is extinct, but the million years is questionable. It was only a subspecies, probably splitting off far less than 100,000 years ago from the other white rhino which though endangered is still with us. Granted it was small consolation that extinctions have slowed down because so many species are already gone, but that does appear to be the case. 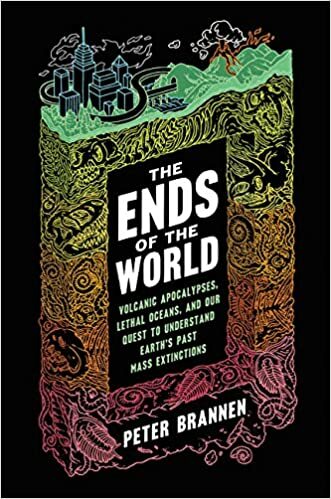 Brannen makes this useful if exaggerated observation: "It stands to reason that, until very recently, all vertebrate life on the planet was wildlife. But astoundingly, today wildlife accounts for only 3 percent of earth’s land animals; human beings, our livestock, and our pets take up the remaining 97 percent of the biomass. This Frankenstein biosphere is due both to the explosion of industrial agriculture and to a hollowing out of wildlife itself, which has decreased in abundance by as much as 50 percent since 1970. This cull is from both direct hunting and global-scale habitat destruction: almost half of the earth’s land has been converted to farmland." I think that 97% is an overstatement. There are lots of birds and rodents out there. Nevertheless, he was onto something. I calculate that the biomass of animals we raise for food is on the order of five times the biomass of people. We have a huge impact on the planet. 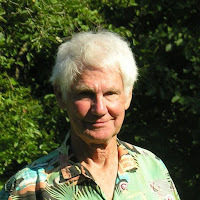 Brannen also observes, usefully and realistically, that what is going on now cannot be compared with the five previous extinctions he has chronicled. It is several of orders of magnitude smaller. He contends that it could reach a tipping point beyond which it spirals out of control. But the web of life is so interconnected that we should not nonchalantly overlook the impact of our presence on earth. Chapter 8 – The Near Future In his lead paragraph Brannen writes "If humanity burns through all its fossil fuel reserves, there is the potential to warm the planet by as much as 18 degrees Celsius and raise sea levels by hundreds of feet." Here is where some arithmetic is in order. Going back to the Wikipedia figures I presented previously, and the figures that Brannen himself sites, we have about 5,000 gigatons of carbon remaining in fossil fuel reserves. There are about 800 gigatons of CO2 already in the atmosphere. Taking the IPCC's figure that every doubling of CO2 in the air raises the temperature by 2.5°C, burning absolutely all of it would raise temperatures only about 8°C. That is not wonderful, but it is not 18°. Moreover, it is obvious that technical limitations will prevent us from ever exploiting anywhere near all of the remaining fossil fuel endowment. The easy stuff is already gone, forcing us to pursue expensive and environmentally disastrous techniques such as fracking, tar sands and mountaintop removal. Both economic and environmental pressures our already limiting the application of these measures. He later notes that the "business as usual" (ie, worst case) scenario used by others assumes a maximum of 2,000 gigatons would be burned. Brannen absolutely ignores many factors which will reduce human use of fossil fuels. The top of the list would include: 1.) Increasing use of renewables: solar, wind, water. 2.) Return to nuclear, far less damaging than fossil fuels. 3.) Self driving cars, much more efficient, multipassenger, not privately owned. 4.) Improving insulation and more efficient lighting. 5.) Most important of all, diminishing populations. It is only 40 years since Paul Ehrlich published "The Population Bomb." What a bomb that turned out to be! He predicted mass starvation by the 1970s. No! We have more than abundant food, and the most developed countries in the earth – North America, Europe and Northeast Asia – now have birth rates well below the replacement level. There populations will shrink. The rate of population growth in South Asia and Latin America has fallen down toward replacement level, and the trend is further down. Only in Africa are the fertility rates still on the order of 4 or 5, and there too they are falling. It appears to me that between better technologies and fewer people mankind's use of fossil fuels will diminish rapidly. To assume, as Brannen appears to, that fossil fuel usage will continue to increase on a straight line would be the heart of folly. No trend in history ever does that. As Casey Stengel says, "predictions are hard to make, especially about the future." Alarmists such as Paul Ehrlich almost inevitably turn out to be wrong. However, as philosopher Pascal Bruckner points out in his book [[ASIN:074566976X The Fanaticism of the Apocalypse: Save the Earth, Punish Human Beings]] there are always doomsayers who prophesize the worst. Here ends my own tirade. After reading Brannen I feel entitled. At any rate, there is no way in the world temperatures can rise 18°C from our burning fossil fuels. Brannen goes on to cite a book "Dire Predictions," by Lee Kump and Michael Mann. Mann is a controversial character who introduced the infamous "hockey stick" graph into the IPCC Assessment Report following Kyoto. Even the IPCC was embarrassed and had to recant. Mann is not, one would say, unbiased. Brannen touches on coming social unrest due to a vast number of factors well beyond global warming. He observes that higher temperatures will exacerbate social unrest, which would be true. Brannen considers the Paris records of 2015 to be a disaster. In this he concurs with a fellow liberal writing [[ASIN:0300209630 Climate Diplomacy from Rio to Paris: The Effort to Contain Global Warming]]. It is an irony that environmentalists would have to concur that in renouncing the Paris accord, Donald Trump is not rejecting anything of substance. Bringing some balance, Brannen cites a scientist named Jablonski who thinks that humans will ultimately prove extremely extinction resistant. We are extremely widespread and our culture makes is very adaptable. It's the other species that are in trouble, especially the ones that choose to go it alone rather than live commensually with mankind. Recalling Pascal Bruckner above, Brannen writes "Underlying certain segments of the environmentalist movement is a sort of existential misanthropy, the idea— even hope— that humans will get what they deserve. That getting spat out by Gaia is just recompense for trashing the planet." Brannen observes that the current interglacial, after 12,000 years, is due to run out. The combination of the Earth's tilt and the elliptic of the Earth's orbit around the sun would suggest we are scheduled for another Ice Age. But human activity is likely to forestall it through anthropogenic greenhouse gases. Here Brannen returns to the plausible, noting that the business as usual scenario would have humans burn 2,000 gigatons of carbon out of the remaining endowment. Even that would require thousands of years to remove from the atmosphere via weathering. Brannen does not mention that more abundant carbon dioxide will enhance plant growth. Another wildcard is that mankind will almost certainly be able to develop plants that are more efficient at photosynthesis and therefore capable of removing greater amounts of CO2 from the atmosphere. But to suggest that would be to bring GMOs into an argument that is already too complex! The chapter ends with some science fiction like speculation as to where evolution might take mammals in the post-human era. It was interesting, but no more than speculation. Brannen also makes conjectures about where artificial intelligence will take us. That seems to be a far more immediate question. Though it is beyond the scope of this book, artificial intelligence and emerging robotics are poised to make man, or at least 99% of us, superfluous. He notes with some humility that the concern about climate change may be misplaced. The apocalypse may come at us from another direction. Chapter 9 – The Last Extinction 800 million years from now Brannen projects the distant future based on what is known of plate tectonics, the lifecycle of stars such as our sun, and other major factors. He predicts that life on earth has another billion or so years to go before it gets so warm as to be unsustainable. The book ends on a philosophical note. No final preaching about climate change, and a rather optimistic sense that somehow we will muddle through at least for a while. Notwithstanding "At the same time that the only known habitable planet in the galaxy seems to be careening into geologic catastrophe, beheadings and crucifixions over centuries-old creeds, pandering nativist demagogues, and tribal recriminations dominate the newscasts." And yet, his final sentence is, "I don't know why, but I believe my mom: all will be well."